The Isle of Wight is one of my favourite places to go on holiday with a toddler. 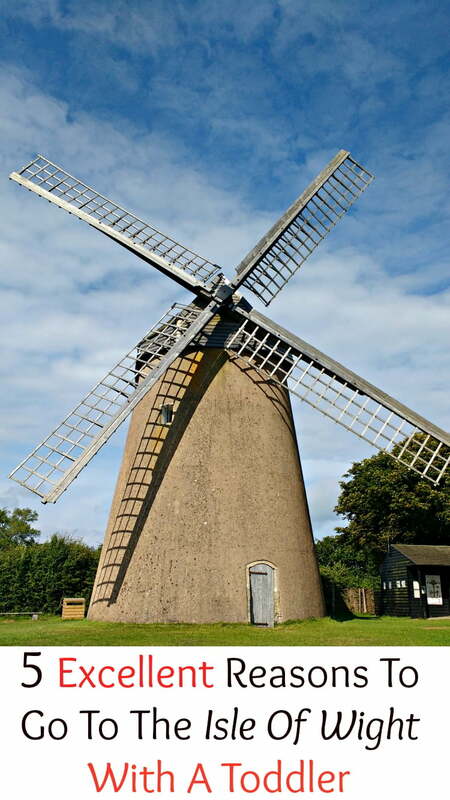 This pretty little island off the south coast of the UK is known for its long sandy beaches and stunning coastline, and has loads of days out and activities for toddlers and small children. We spent a week on the Isle of Wight staying at the Whitecliff Bay Holiday Park and spent sunny days discovering the island’s beaches, and having trips out to places like the Isle of Wight Railway and The Needles. This little island certainly packs at lot into its 150 square miles, and I think it is the ideal place to go on holiday with a toddler. These are just some of the reasons to visit the Isle of Wight with a toddler. Being British, our favourite topic of conversation is nearly always the weather, so it seems like a good idea to start by talking about the weather in the Isle of Wight. I don’t know if we were just lucky when we went (July 2016), but the weather was amazing with plenty of hot sunshine, and it actually felt like we were aboard. 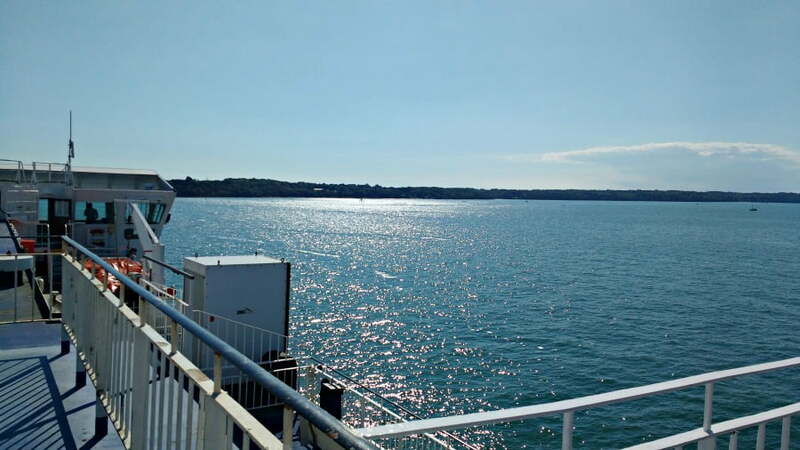 We caught the ferry over on an Friday evening and it was 25 degrees as we were sailing across the Solent with ice creams in hand. The weather held out for most of the week when we were there so we went swimming in the sea, sunbathed, ate plenty of ice creams and had loads of bbqs. I know the weather isn’t like that all the time, but being off the south coast the Isle of Wight definitely one of the warmest places in the UK so you should have a good chance of nice weather! 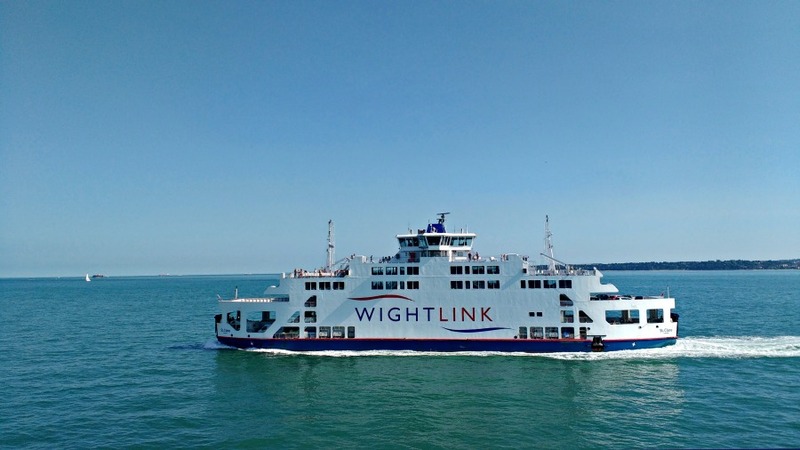 It is so easy to get to the Isle of Wight – just a short ferry ride from Southampton or Portsmouth gets you across the Solent and over to the island. Getting a ferry is part of the holiday too – imagine a toddler’s excitement when they see the ferry they are going on; and at just 40 minutes long it is perfect for a toddler’s attention! The ferries take cars too so you can fill your car up with everything you need and take it over with you . We took bikes, bucket and spades, footballs – and even Gordon, from Thomas and Friends made an appearance too! There are so many things to do in the Isle of Wight with toddlers. The obvious place to start is the beach as there are so many good ones on the Isle of Wight. We stayed at Whitecliff Bay which was great for families and just a short walk away from one of the best beaches on the island. 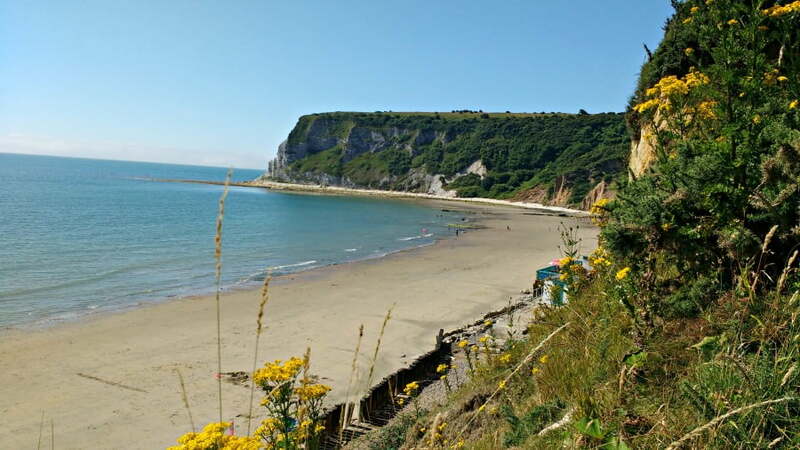 Whitecliff Bay is a long sandy beach with a little beach bar and is great for paddling and sandcastle making. You can also see all the cross channel ferries chugging their way across the Channel in the distance (interesting for geeks like me). There are other good beaches at Sandown, Shanklin and Ventnor. 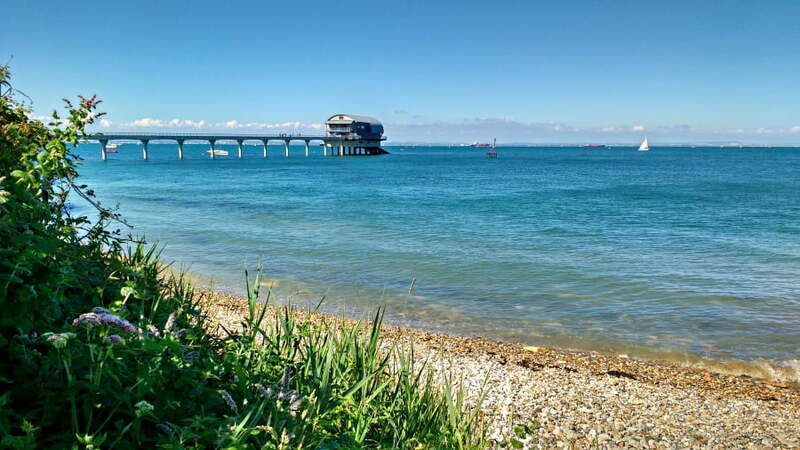 Bembridge has a good shingle beach, which also has rockpools to play in as well as an RNLI Lifeboat station which you can visit. Top Tip – If you have a car, leave your beach stuff in the boot so you can hop out and go swimming / paddling or sandcastle building at new beaches you discover when you are out and about. 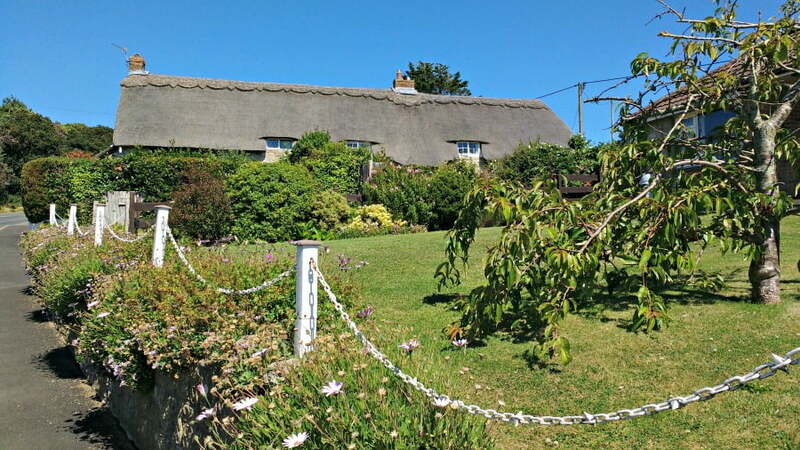 Once you get to the Isle of Wight, there are loads of holiday parks, campsites, hotels and cottages to stay in depending on your needs or budget. 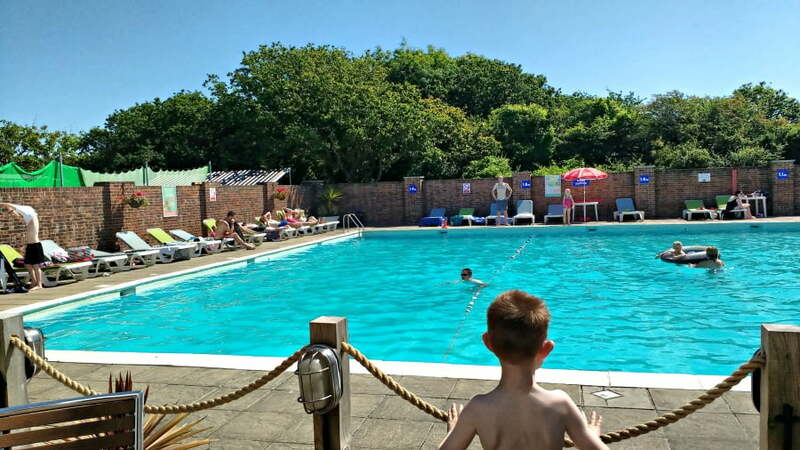 We stayed at Whitecliff Bay Holiday Park which has an indoor and outdoor swimming pool, playground – and best of all its own private beach just a 10 minute walk from the caravan. 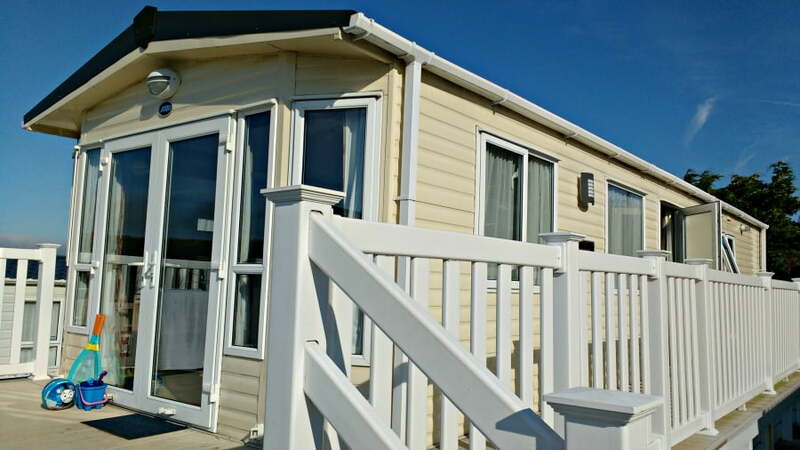 The caravan had 2 bedrooms, a large outdoor terrace and was really bright and airy. Staying in a holiday park meant we could do most of the cooking ourselves although we did have a fantastic meal out at the Crab and Lobster Pub overlooking the beach. Whitecliff Bay also had lots of onsite entertainment for toddlers such as balance bikes classes and parent and toddler swimming lessons. There are loads of things to do on the Isle of Wight with toddlers. 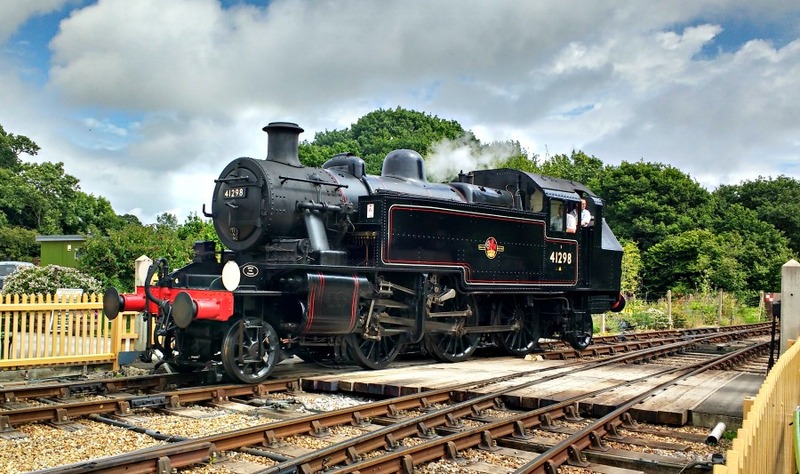 As well as the beach, we loved days out on the Isle Of Wight railway where we spent the day riding up and down the line on the historic steam train. 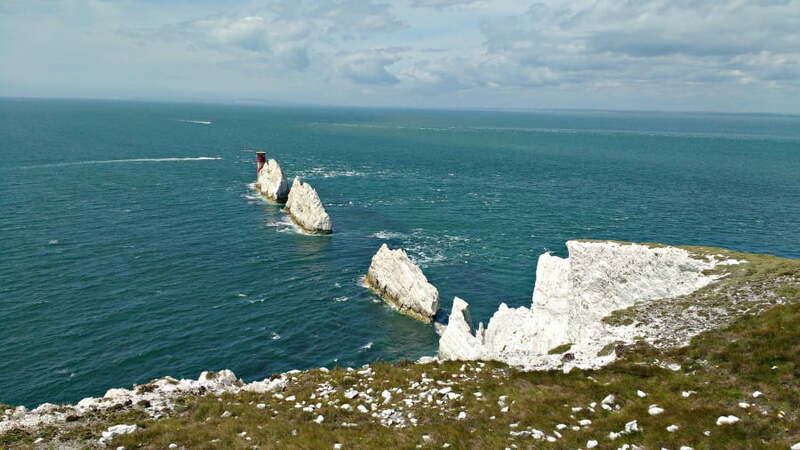 The Needles is one of the most popular areas on the island and you can take a boat trip out to see these iconic sea stacks. There is also a chair lift down the beach and a large shopping and eating area. The Needles Battery, run by the National Trust, is next door to The Needles, is less commercialised and explains the fascinating history of secret rocket testing during World War 2. I had no idea what an important role the Isle of Wight had in the war before our visit. 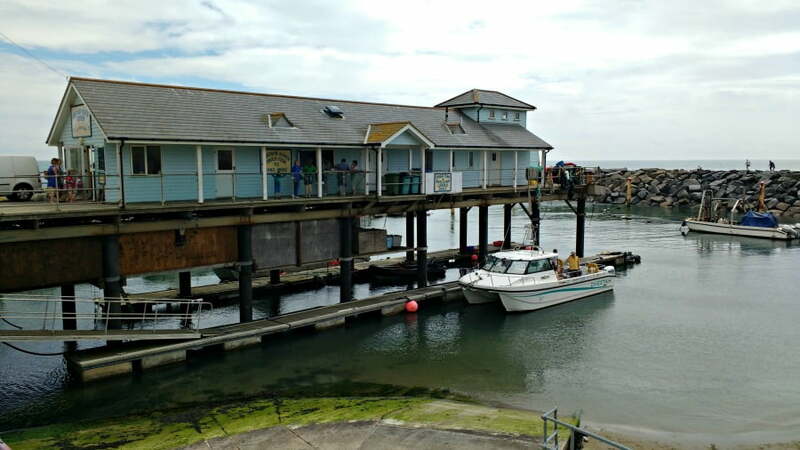 Ventnor, on the south of the island is well worth a visit if not just for fresh fish from the Ventnor Haven Fishery. The boat is moored up underneath this fish shop so the fish is a fresh as it can be. 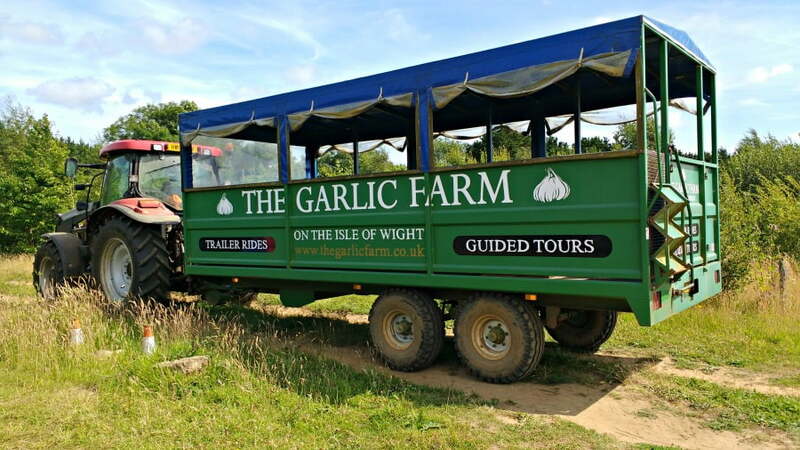 You can’t visit the Isle of Wight without going to the Garlic Farm in the centre of the island. Here you can see loads of different varieties of garlic being grown on the farm, go on a woodland trail and even have a Black Garlic Ice Cream! This article has loads of ideas about things to do in the Isle of Wight with a toddler.